Hellevoetsluis S.C.C. was founded in 1989 and has its base in the (merchant)harbour of Hellevoetsluis. In 1898 an inland vessel was launched on the Kalkman shipyard in Capelle aan den IJssel and named 'St. Willibrordus'. From 1935 till 1988 this ship was registered under the name ' Margaretha'. During world war II the Margaretha was layed up in a ship graveyard and after the war again commisionned as a towed ship. In 1964 the 'Margaretha' was refitted and a 260BHP MAN diesel engine was installed. In 1988 the Margaretha was bought by the 'Outward Bound Foundation', who renamed the ship 'Outward Bound'. This foundation used the ship for survival-holidays in the Netherlands and Belgium and therefore the hold was devided in several living-quarters and sleepingcabins. The ship got his old name back in on may 22, 1998. 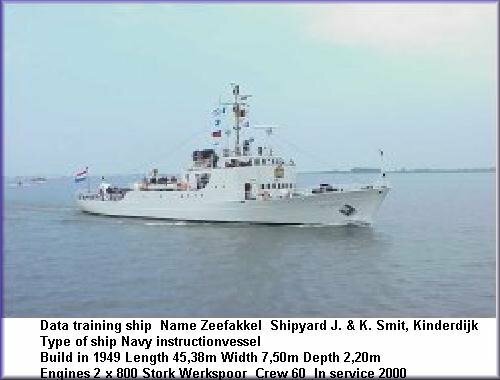 In 1992 the Outward Bound was sold to the Hellevoetsluis Sea Cadet Corps en was named T.S. 'Discovery'. During the years 93/94/95 several quarters were rearranged. The store now became C.P.O/P.O.-mess and the recreationquarters fitted up as the sleepingquarter for cadets(boys). A second generator 33 kva and also a seawater waterpump were installed. The original galley and the cabin of the skipper aft on the ship were fitted up as cabins for officers. T.S. Discovery now has 64 bunks for 8 officers, 10 for C.P.O/P.O's, 15 for cadets (girls) and 36 bunks for cadets (boys). 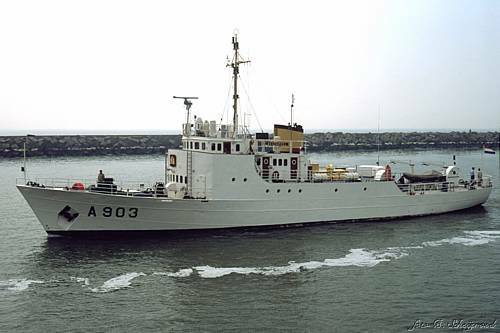 In 2000 a new trainingship arrived, ts. 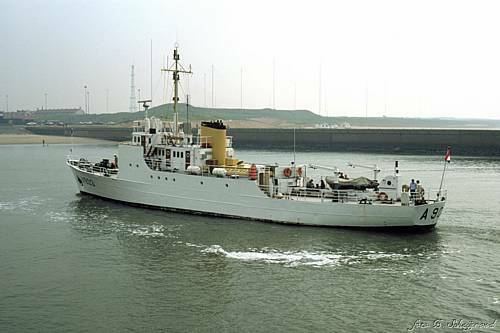 Zeefakkel, a former Navy vessel. From january 15, the ship is in service as traingship of the unit.